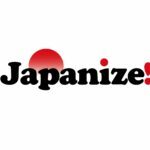 We are Tokyo drunk Salaryman related organization called “I Love “Salaryman” in TOKYO”. 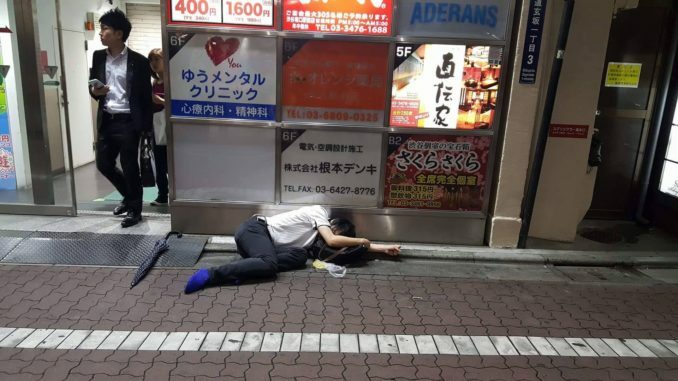 We update the ultimate drunk Tokyo salaryman pictures found around Tokyo taken by locals and travelers here in Tokyo. 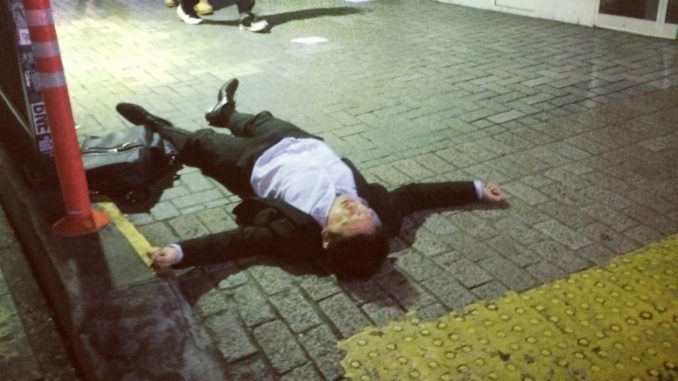 Enjoy looking at ultimate crazy, funny and drunk salaryman in Tokyo! 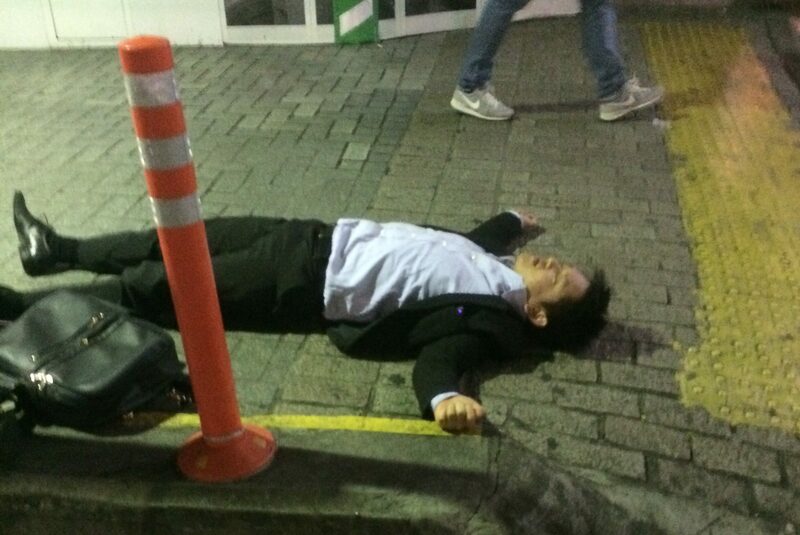 Most relaxing salaryman sleeping like at home on the street near Shibuya station. 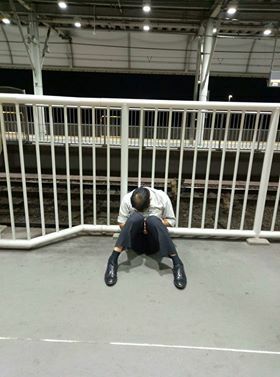 He is obviously drunk and sleeping on the floor at the station. He should even have missed the last train, lost his salaryman bag and etc.. 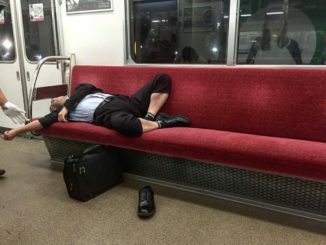 Sadly this kind of situation happens quite often for drunk middle age salarymen in Tokyo. This guy was one of the best! 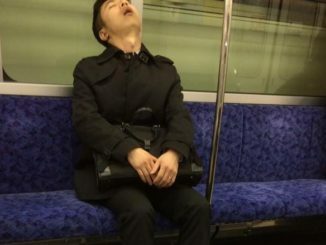 His sleeping style is exactly what we are expecting for the drunk Tokyo salaryman! He was found at the famous big crossing in Shibuya in front of the station of Shibuya on JR train. 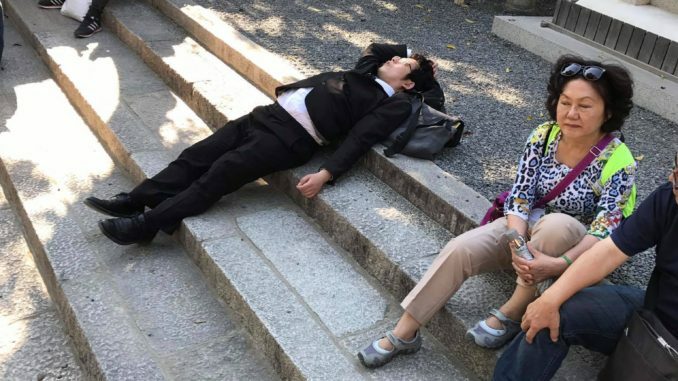 This guy in Kyoto which is historical city of Japan with lots of temples and shrines was sleeping in the very unique way like this. Looking quite neat and that is different from Tokyo salaryman. By the way he has the nice blue socks (maybe it’S from Uniqlo shop in Tokyo). 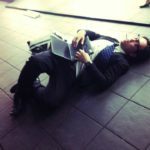 If you’ll see this kind of salaryman, you can help him to drink water, but do not mistake to take him to another Izakaya(Japanese pub)! I'm a miserable salaryman living in Tokyo. 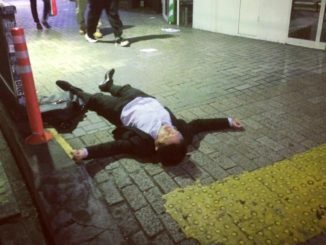 I wanna share the real Tokyo salaryman lives, stories and funny pictures of them drunk.